Home / Brand Recognition / Nautilus is June’s Brand of the Month! Remember when you made your New Year’s resolution to be fit by the time summer rolls in? Though the weather may suggest otherwise, summer is actually here! Rymax is proud to announce Nautilus as June’s featured brand of the month! Nautilus is widely recognized in fitness and gyms around the world and has stood by their “tradition of excellence by producing cardio and strength solutions for the home” for nearly 50 years. When pairing some of our favorite products by Bowflex with the Bowlflex Max Trainer App, you will achieve your fitness goals in no time! For a fast, fat burning and calorie slashing cardio workout, that is slim enough to fit in just about any room, try the Bowflex M5 or M7. These two machines come with programmed interval routines as well as live, free one-on-one training, group training and the option to build personalized workout routines to help you reach all your goals! Even if you don’t want to work out with the live or group trainings, the Bowflex M5 and M7 both sync to apps such as MyFitnessPal and Apple Health so you can still hold yourself accountable, while staying motivated! 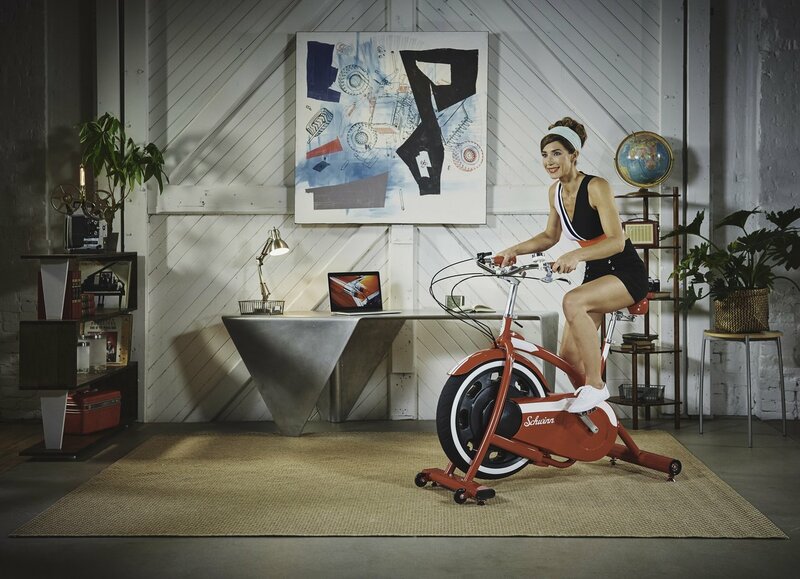 If the elliptical is not your workout of choice and you’re looking to add some retro flair into your living space, while still getting in your cardio, check out the Schwinn Classic Cruiser Upright Bike. This bright red bike may take you down memory lane, but don’t let it’s looks fool you; it’s fully equipped with modern technology such as Bluetooth connectivity, seven levels of resistance and an electronic speedometer! Don’t forget to download your free Schwinn Classic Cruiser App, which includes video game features of riding down a 1950’s street delivering newspapers, while avoiding obstacles! This bike isn’t just for fun and games, the app also provides pre-programmed workouts for you to scorch those calories and is compatible with the popular RideSocial App. Last but certainly not least, if you want to look good on the beach – it’s time to incorporate some weights into your routine! Rymax recommends trying the Bowflex SelectTech 560 Dumbbells. This set of dumbbells takes the place of an entire rack of dumbbells, adjusting from 5 to 60 pounds. They also have cutting edge Bluetooth technology within to ensure proper tracking with the Bowflex SelectTech App . Now that you’ve read about a few of our favorite in home gym pieces, it’s time for you to start working on that summer body.